The citicoline market registered a healthy CAGR of over 7% during the 2013-2017 period on the back of a rapid rise in the geriatric population around the world. The citicoline market was valued at over US$ 530 million in 2018 and is expected to witness substantial Y-o-Y growth of 8% in 2019. North America is expected to account for the leading share in citicoline market owing to the presence of numerous players along with availability of modern and sophisticated infrastructure. Latin America is expected to emerge as a high growth market during the 2018-2028 period with dementia and Alzheimer’s disease incidences in the region increasing at a brisk pace relative to other regions. Note: For more key insights into the citicoline market, request a sample. What are the Factors Spearheading the Growth of Citicoline Market? Stressful lifestyles, increasing competition, long working hours, sleep deficiency, and growing geriatric population are fuelling demand for nutraceuticals that enhance cognitive functions. Citicoline is finding increasing usage in nutraceuticals production owing to its negligible toxicity and neuroprotective properties. Citicoline induces the formation of phospholipids in the brain that are required for efficient functioning of the neural pathways. With incidences of dementia, Alzheimer’s disease, and other neurological disorders on the rise, governments around the world are providing pharmaceutical companies extended support towards the research and development of drugs that could effectively address these issues. Efforts to study citicoline’s efficacy in prevention and potential recovery from cognitive dysfunctioning are gaining momentum. 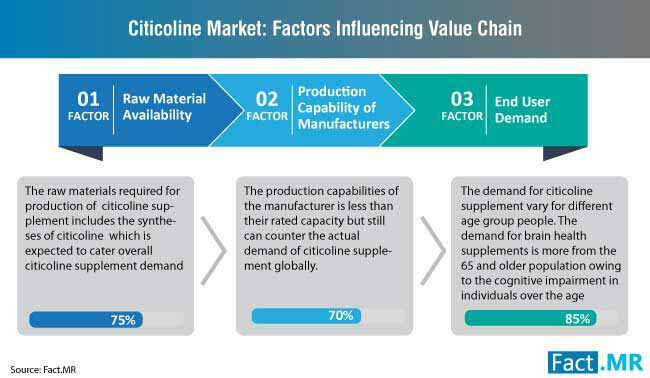 Citicoline’s potential use in preventing and improving visual capabilities is expected to create steady opportunities for stakeholders. Numerous studies researching the use citicoline in preventing neurodegenerative deterioration of the retina are underway. Role of citicoline in preventing conditions such as diabetes-induced retinal neurodegradation, glaucoma, and amblyopia are being investigated. Intensifying research towards the use of citicoline in the treatment for addictive disorders is emerging as another opportunity avenue. Studies suggest that citicoline has a significant influence on the dopamine, glutamate, and acetylcholine production in the brain which can potentially be leveraged to treat various symptoms of addiction disorder such as craving, withdrawal symptoms, and impaired cognitive functioning. Additionally, numerous researches suggest the chemical compound can arguably be used to extenuate the neurotoxic effects of drugs and other substances. Research on increasing the efficacy of citicoline by using it in combination with other chemical compounds is underway. 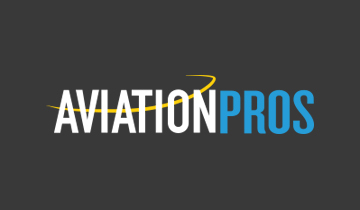 Market players are increasingly investing in the R&D of drugs based on different citicoline combinations to capitalize on the growing demand for neuroprotective drugs for the prevention of diseases such as dementia, Alzheimer’s disease, and other neurological disorders. Note: For detailed information on variegated factors driving the citicoline market growth, request a sample. What are the Challenges Stifling Citicoline Market Growth? While citicoline is beneficial for enhancing cognitive functioning and treating cerebral impairments, its use in the long-term can potentially have side-effects such as gastrointestinal problems, transient headaches, bradycardia, hypotension, tachycardia, insomnia, and fluctuations in blood pressures. 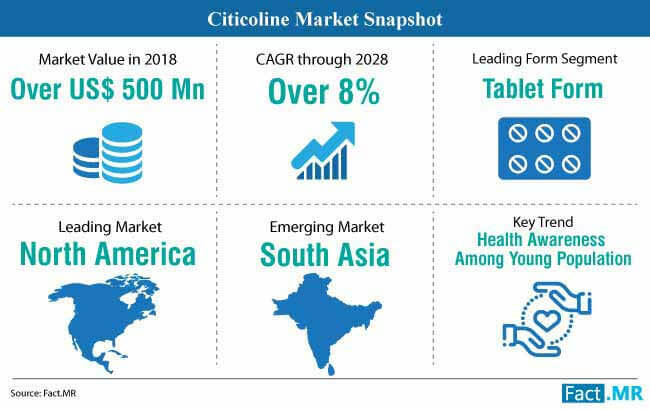 The factor is likely to hamper citicoline market growth during the forecast period as companies continue to research the long-term impact of using citicoline on patients’ body. Research towards the development of drugs to effectively treat dementia, Parkinson’s disease, Alzheimer’s disease, and other neurological disorders is gaining strength with the healthcare industry widening the scope of substances that can be potentially used for countering the disorders. The availability of more feasible medicines can curtail the opportunities of citicoline market players in the treatment of neurological disorders. 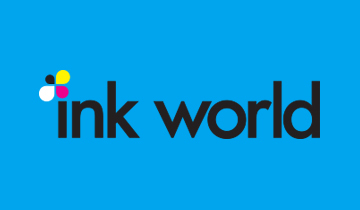 In order to capitalize on the growing demand for citicoline in functional foods, Kyowa Hakko Bio Co., Ltd., a leading player in the citicoline market, launched two new citicoline powdered supplements and citicoline capsules in 2018. Intensifying clinical trials for citicoline’s potential use in the treatment of neurological diseases received a substantial boost after research suggested that using the compound with risperidone could effectively relieve primary negative symptoms of schizophrenia. The pervasive trend of combining citicoline with other compounds to enhance its efficacy continues to drive the citicoline market growth with a study published in 2018 concluding that a combination of citicoline and docosahexaenoic acid exhibit synergistic activities which can substantially boost recovery after transient brain ischemia. 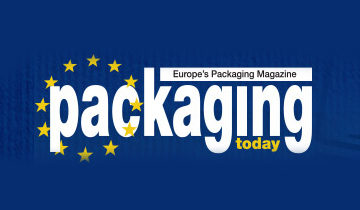 Some of the leading players operating in the citicoline market include Alfa Aesar, Cepham, Inc., EZ Melts, HL-Pharma US, Double Wood LLC, Instas Pharmaceuticals Ltd., Jarrow Formulas, Inc., Kimia Biosciences, Rakshit Drugs Pvt., Ltd., Relentless Improvement LLC, Swanson, Wellona Pharma Private Limited, Healthy Origins, Biochemix Healthcare Pvt., Ltd., Merck KGaA, Grupo Ferrer Internacional, S.A., Piping Rock Health Products, LLC, and NuerAxon Pharma Inc.
Increasing consumer awareness about citicoline-based medication and supplements coupled with the trend of retail pharmacy store owners maintaining a diverse portfolio of similar drugs is estimated to prove vital to citicoline market growth with the distribution channel expected to hold a significant share of the citicoline market revenue. Advancements in tablet manufacturing and intensifying research and development focused towards developing tablets with a combination of citicoline and other compounds to study their synergistic effects on various neurological diseases is a vital reason expected to uphold demand for tablets in the market. 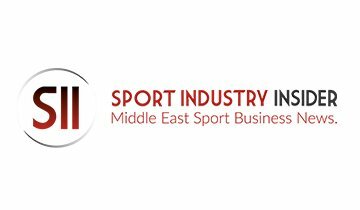 Other sales channel such as hospital pharmacy, online channels, specialty stores, and hypermarket and conventional retail systems are also likely to see a rise in the demand for citicoline-based supplements and products. Growing consumer demand for citicoline-based drugs and supplements is prompting manufacturers in the citicoline market to introduce them in various forms such as powders and capsules. The report on citicoline market is a consequence of an elaborate and robust methodology. 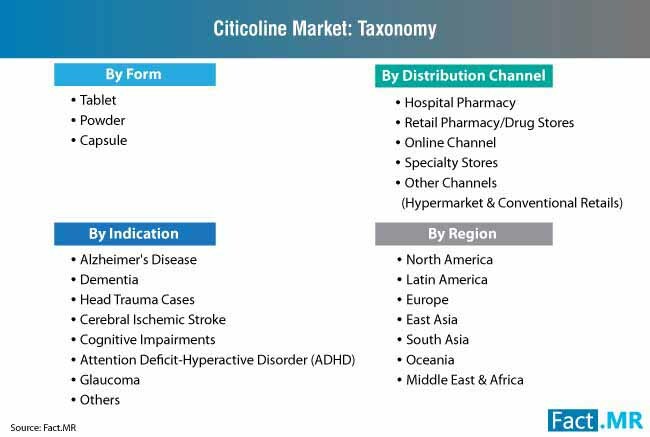 A two-step process involving primary and secondary researchers was used to obtain in-depth and actionable insights into the citicoline market. Primary research involved interviewing seasoned experts from the citicoline market while secondary research was conducted by thoroughly studying company press releases, paid sources, trade journals, and other publications pertaining to the citicoline market. 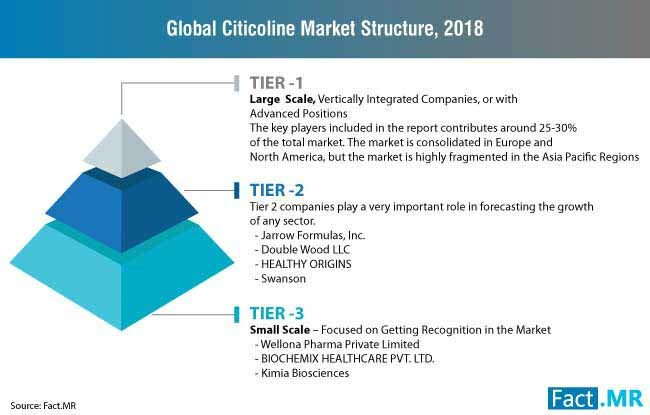 Results from both the research steps were triangulated in order to produce an authentic and accurate forecast of the citicoline market. 17.1. KYOWA HAKKO BIO CO., LTD.
17.3. Aquatic Remedies Pvt. Ltd.
17.4. BIOCHEMIX HEALTHCARE PVT. LTD.
17.8. Grupo Ferrer Internacional, S.A.
17.16. 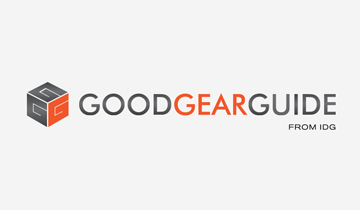 Piping Rock Health Products, LLC. 17.17. Rakshit Drugs Pvt. Ltd.